Holidaymakers are becoming long-term residents after discovering the beauty, luxury and efficiency that characterises Mauritius. This fact is confirmed by the 10% increase in demand for high-end rental properties in the Rs100k to Rs150k per month rental segment. Ultra-luxurious Rs150k-Rs200k per month property rentals have grown by 15%, and long-term tenants with a preference for palatial 200k-300k per month homes have also increased by 15%. Where is this influx of new residents coming from? Director of MW Property Group, Wes Carlson says that expatriates from around the world are choosing Mauritius as their new home. “We’re seeing a lot of people from Europe who want to live in Mauritius lately,” says Carlson, “It’s not only the pleasant climate and beautiful scenery that draws them. Europe seems to be experiencing crisis after crisis, and many of them are looking for greater stability”. South Africans have long seen Mauritius as a paradise, and South African nationals represent a significant proportion of the market for luxury homes. A flight to Johannesburg takes only 3 hours and 45 minutes, so South Africans regard Mauritius as an easy emigration option that doesn’t require the cutting of ties with their country of origin. But Mauritius isn’t only drawing sun and stability-starved Europeans and South Africans who want to maintain their ties with home. Tax advantages are attracting high-value individuals from a number of countries, and the national languages (English and French) make Mauritius an attractive option for many. 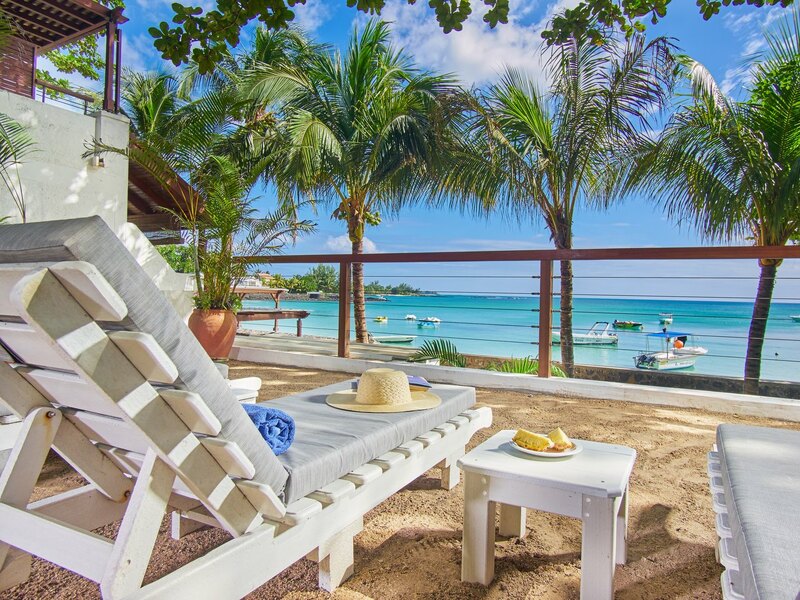 As anybody with a basic understanding of economics knows, increased demand drives prices up, but when compared to sought-after properties of equivalent quality in Europe, the cost of Mauritian luxury rental properties remain extremely competitive. Mauritius has responded to the influx of wealthy residents with a building-boom that has seen the construction of a large number of luxury homes and upmarket property developments. There is keen competition for these properties, and Carlson says that although there is no housing shortage as such, the demand for luxury housing continues to outstrips supply. “We’re talking about the most luxurious properties here,” says Carlson, “people who want a home that would be considered magnificent by any international standard represent the largest growth in property demand”. So why are the world’s wealthy choosing Mauritius? Carlson says that there are many reasons, but focuses on the practical: “Mauritius has a highly educated workforce, very low crime, and the highest literacy rate in Africa. It’s ranked as the number 1 country in Africa for ease of doing business, and acts as gateway to Africa”. But the pleasures of living in Mauritius can’t be overlooked: “The weather’s great, the lifestyle’s like a dream come true, and it’s a wonderfully secure and stable place to live” says Carlson. While the rest of Africa struggles with corruption, violence, political instability and economic volatility, Mauritius remains an island paradise that is not only an excellent holiday destination, but also an ideal place to live and work. Small wonder that those who can afford to live the dream are flocking to its shores.